I have always felt deeply connected to Italy. Somehow, already an ex-patriot without ever having stepped foot onto the soil. I can't explain it other than to say I feel drawn there. To the culture, the people, the traditions, the history, the land, most definitely the food. I mean, serious wanderlust here. I know I sound dramatic so go ahead: roll your eyes. But seriously, anything Italy, this girl is OBSESSED. Have you watched the new season of Master of None yet? The first episode is shot in black and white and is set in Modena. SWOON. Ready to cash in my savings account for a one-way ticket over here. So naturally I love the notion of the Aperol Spritz. 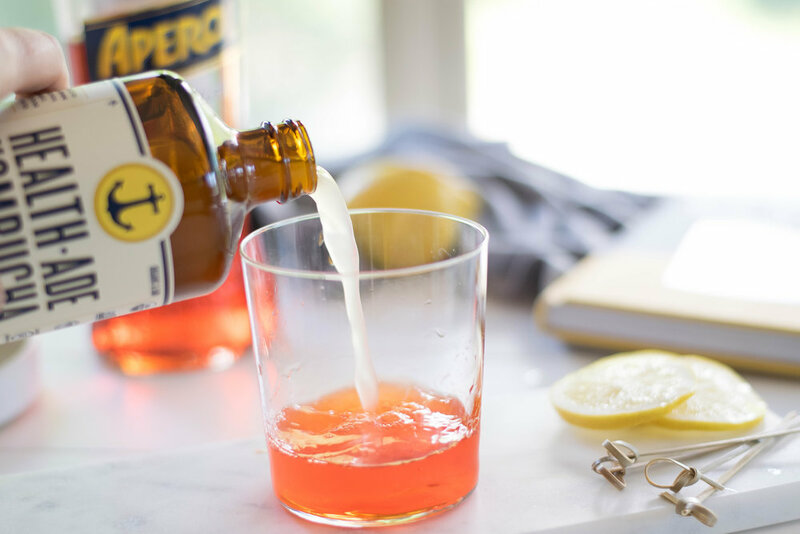 An aperatif is a low-alcohol cocktail meant to be consumed in that golden hour sliver of time between the end of the work day and the evening meal. A classic aperatif, such as the Aperol Spritz, is made up of 4 components: citrus, sparkling wine, soda water, and a bitter (such as Aperol or Campari). 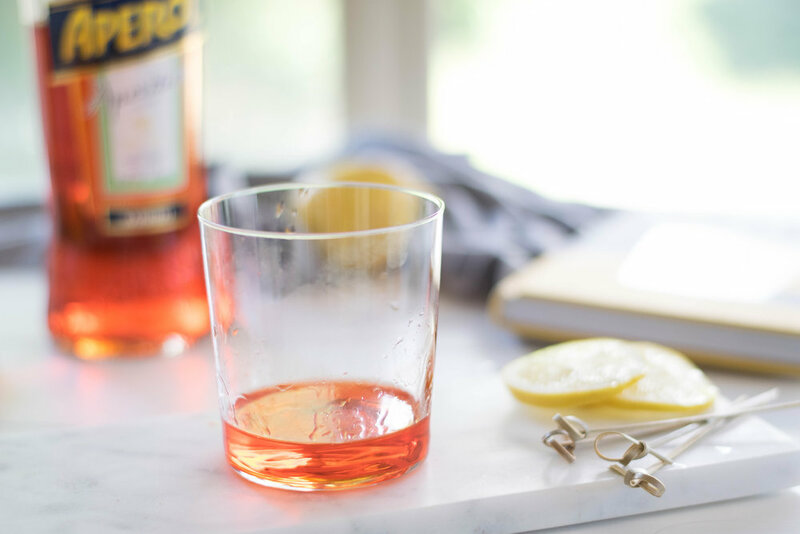 You may already be familiar with the Negroni: Spain's answer to an aperatif and it's made with Campari. The bitter element helps to stimulate the appetite which is why it's always consumed as the opening of a meal. But I'm playing fast and loose with the spritz guidelines here so I won't tell you how to drink it. You do you. And since I am in love with all things Italy, even though I've yet to visit (! ), I was dying to try this cocktail once I heard about it. I'll be honest though: my first experience with aperol was disappointing. Maybe my palette wasn't ready for the pleasantly bitter flavor of the liquor or I just didn't get it right but I was determined to try it again. I was playing around with kombucha applications in different cocktails and this one was by far my favorite. The light sweetness from the kombucha rounds out the bitterness in the Aperol perfectly and takes the place of soda water since it's naturally effervescent. And it couldn't be simpler to make. 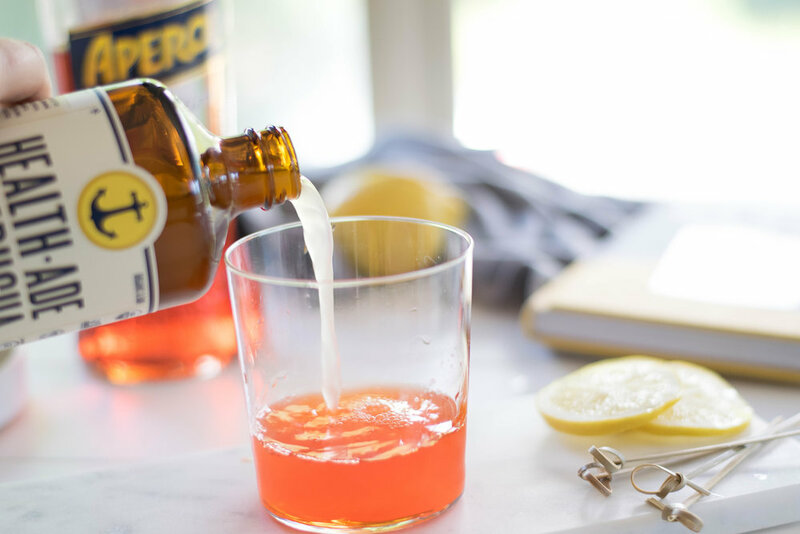 I used a lemon and ginger kombucha to pair with the citrus flavors in the Aperol but honestly just about any kombucha flavor would be delicious! And isn't it pretty? That color! Oh, and if you're interesting in learning more about the spritz or other killer recipes and variations, I highly recommend this book. Happy spritzing! 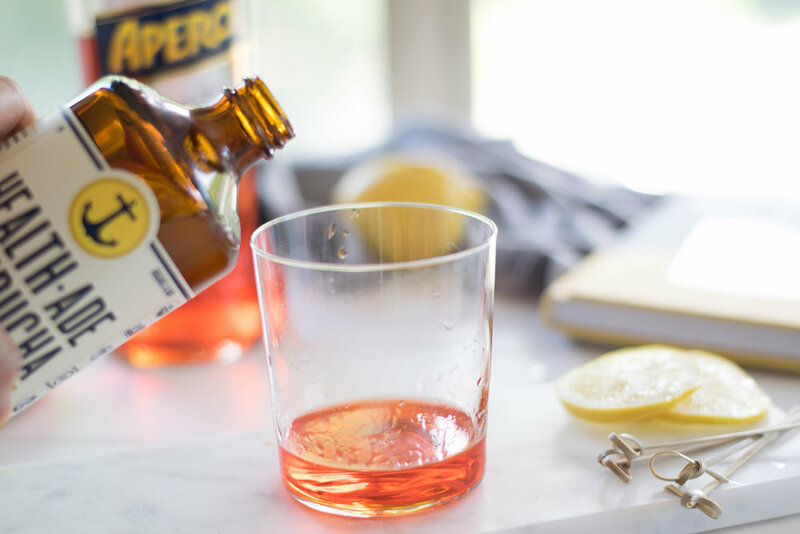 Fill a glass part way with ice and add the kombucha and Aperol. Top with lambrusco and add a lemon slice. Enjoy! See, I told ya! Easy!